Revision bariatric surgery refers to a surgical weight loss treatment that follows a previous bariatric surgery that did not lead to the desired level of success. Due to the increasing popularity of weight loss surgery, more and more patients are undergoing operations to lose weight. Bariatric surgery, however, is not a miracle cure, and while most patients are successful after weight loss surgery, some patients may experience problems with the surgery or not succeed in losing the expected amount of excess weight. In these situations, a follow-up bariatric procedure, known as a bariatric surgery revision, may be necessary to alter or repair the initial surgery. Obesity is a chronic disease and not easily treated. As with any serious health condition, if the first treatment is not effective, then the doctor will recommend additional treatment options. With weight loss surgery, a revision surgery may be necessary as an additional treatment for severe obesity. Even the most successful operations may require a revision from time to time to help patients achieve long term results. Identify the factors – Why does my first bariatric procedure “Failed”? Although it can be an emotional setback when weight loss surgery does not lead to the expected amount of weight loss, the only failure is in giving up. A self-assessment of the factors that influenced the weight loss progress on the first bariatric surgery is the first step to recognize the “mistakes” and create better strategies to overcome self-sabotage or inadequate behaviors. This self-evaluation will also help to establish proper expectations on a future bariatric procedure. • Failure to follow post-operational guidelines. • Lack of support from friends and family. • The procedure wasn’t performed properly. When to consider bariatric revision surgery? • Complications from a previous bariatric procedure. • Patient developed high levels of heartburn. • Patients who experience ongoing complications, such as ulcers, hernias and malnutrition. • When the patient and the doctor have decided to end the treatment by removing the gastric band. (Lap-band surgery patients). • The patient no longer feels the restriction in the stomach when eating. (The patient perceives that he can return to eat similar amounts to those of a person without a bariatric surgery procedure). (*) It is recommended to consider a bariatric revision surgery one year after the first procedure. Choosing the right revision surgery procedure – How do I know what’s the best bariatric revision surgery procedure for me? A weight loss surgery patient should always consult a bariatric surgeon to determinate weather she/he is or not an ideal candidate for bariatric revision surgery. It is important to understand that while revision surgery is slightly higher-risk than a first-time operation, it is still lower-risk than remaining morbidly obese. The appropriate revision bariatric surgery options depend on: How much weight does the patient want/need to lose, age, weight, health issues, habits, and lifestyle. It also depends on the expectations for life after surgery. Once the doctor determinate that the patients qualify for a revision bariatric procedure, both patient and surgeon will select an appropriate procedure to achieve the desire goals. The revision rate for the LAP-BAND System is approximately 10% during the first two years. Revisions are due to device-related problems, slippage or unsatisfactory weight loss. A complication specific to this type of procedure is slippage of the gastric band, which requires a follow-up procedure to fix the problem. While some patients will have the band replaced, others choose to revise to another procedure. *A lap-band patient has the option to convert the original procedure to a gastric sleeve, mini-gastric bypass, full gastric bypass or just removal of the band. • Much better sense of satiety than in band patients due to reduction in the size and capacity of the stomach. • Superior appetite suppression due to the near elimination of the hunger hormone (Ghrelin). • No intestinal bypass or malabsorption, therefore little chance of vitamin or nutritional deficiency. • Outstanding weight loss results. • Higher rates on resolved co-morbidities after surgery. • Recommended for patient with a very sedentary lifestyle. *Gastric sleeve patients can convert the original procedure in to another bariatric procedure such mini-gastric bypass or gastric bypass. It can also be converted to a 2nd gastric sleeve (“re-sleeve”). • Patients with gastric sleeve surgery considering the revision surgery should perform laboratories and exams to know their levels of acidity. • Patients with chronic heartburn and pain, should not considerate a “re-sleeve” as the best option. An uncontrolled heartburn could damage your esophagus, cause ulcers and even lead to cancer. A gastric bypass revision is necessary in approximately 5 to 10% of patients over 5 years due to complications, unsatisfactory weight loss, or weight regain. Complications that may occur after gastric bypass surgery, such as ulcers, chronic vomiting, hernia, staple line failure, can often be improved through bariatric revision surgery. Revision surgery patients with a previous mini-gastric bypass or gastric bypass should hand a medical report and take previous X-rays so the surgeon can make sure of what they will find during the procedure. During a revision bariatric surgery with a previous bypass procedure, the surgeon revises and corrects the size of the gastric pouch, bypassed intestine and anastomosis. • A mini-gastric bypass can convert the original procedure to a “full” bypass. • A gastric bypass patient only has the option to “re do” the original procedure. (Bypass to Bypass). *For drastic weight loss results gastric bypass may be the best option. A bariatric surgery patient considering a revision bariatric surgery must make research about the success rates and documented cases. Although the results can vary widely depending on the original procedure and the reason for the revision (second bariatric surgery), these surgeries are usually successful in resolving the associated problems and promoting further weight loss. However, setting a realistic expectation about the weight loss progress and results after revision bariatric surgery it’s essential to decide whether the patient goes or not for a second weight loss surgery. Deciding undergo bariatric revision surgery requires more commitment than the first time. Most bariatric revision surgery procedures have an average 35 to 50 percent less success than the first bariatric procedure. In simple words, weight loss following a bariatric revision surgery is usually not as dramatic as the initial bariatric procedure, but it can be substantial over time. Another significant factor to set realistic expectations is to realize an analysis about the psychological and behavioral profile of the patient. 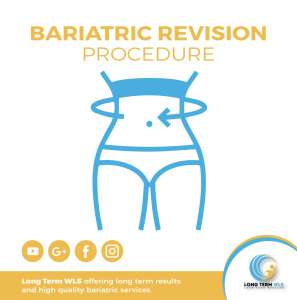 The patient must be able to identify and recognize the reasons why the first bariatric procedure did not result as he/she expected (The patient must provide all this information to the surgeon during consultation or email). To minimize “failure”, the patient must establish a structure between his/her daily habits and the appropriate bariatric procedure; amount of water intake, hours of sleep, stress levels, sedentary job or lifestyle, night/day shift, eating choices and other components of a patient’s everyday living can have a big impact during weight loss. A bigger commitment: A bariatric surgery patient must considerate revision surgery as his/her “second and last opportunity” to regain their weight loss journey with the help of a surgical intervention. A 3rd bariatric surgery is not approved or performed by most bariatric surgeons; success rates decrease, surgery risk increase, and the recovery time becomes a slower process susceptible to complications. Listen to your doctor’s advice: Like we mentioned before, the patient must undergo consultation to evaluate the best options according to his/her personal characteristics. Most patients find themselves confused by the lack information or advice of other patients. The last word on this matter should be taken from an expert. Be aware! A revision bariatric surgery is a more complex procedure; it requires more surgical time and expertise from the surgeon. Most revision bariatric surgeries are performed with laparoscopic technique; nevertheless, the possibility of converting the original procedure to an open surgery it always exists (due to unexpected findings, complications or difficulties). A fatty liver, hardness levels of the skin in the abdomen area, adhesions and amount of scar tissue surrounding the stomach (due the 1st bariatic procedure or tummy tuck) are some of the factors that could affect the surgeon’s visibility while performing the procedure with laparoscopic technique. In most cases, when the surgeon cannot see clearly, it is necessary to convert the procedure to an open surgery in order manage the surgical instruments more easily without damaging any of the organs and being able to perform the procedure properly. *Open surgery is the traditional type of surgery in which an incision is made using a scalpel. An open bariatric procedure involves a cut from 6 to 9 inches in the abdomen that allows the surgeon to see the anatomy of the patient and the organs that surround the stomach. As with all bariatric procedures, the best weight loss results are achieved by patients who are able to comply with the diet and exercise recommendations of their surgeon. The post-operative process can be a struggle and you will benefit in your weight loss efforts by attending support groups, talking to a nutritionist for dietary advice, working out with an exercise program, and, if needed, talking to a psychologist to help deal with emotional aspect of obesity and weight loss surgery. 1. Choose a bariatric procedure according to doctor’s recommendation. 2. Learn from your “mistakes”, once you were able to identify the factors of failure you must establish a better strategy, healthier habits and greater choices to overcome past behaviors. 3. Take it seriously! Think about revision bariatric surgery as the last chance to redeem your past negative behaviors and defeat obesity. 4. Follow the post-surgical instructions provided by your surgeon. 5. Include a physical routine into your daily habits. Exercising is not optional. 6. Choose your food wisely. 7. Join specialized bariatric surgery groups where you can identify with the other members and get the support you need to stay on the right track. 8. Consult a nutritionist periodicaly. 9. Increase your water intake. 10. Vitamins and supplements must be taken to avoid nutritional deficiencies. 11. Integrate activities that allow you to relax and / or reduce your stress levels. 12. Keep track and appropriate balance of your calorie intake. Revision surgery is a much more complicated bariatric procedure, only experienced and skilled bariatric surgeon offers this option. A revision surgery procedure involves more surgical time and recovery than the first bariatric procedure; the surgeon must have a specialized technique to perform a proper procedure without complications and “revise” original procedure. Our leading bariatric surgeon Dr. Jorge Maytorena is qualified and highly experienced performing revision bariatric procedures, with over 10 years of experience in the bariatric field and over 6,000 successful procedures, Dr. Maytorena has developed a specialized technique to provide long lasting weight loss results. Being a skilled surgeon has allowed him to act with composure, certainty and agility during times of emergency and minimal complications. 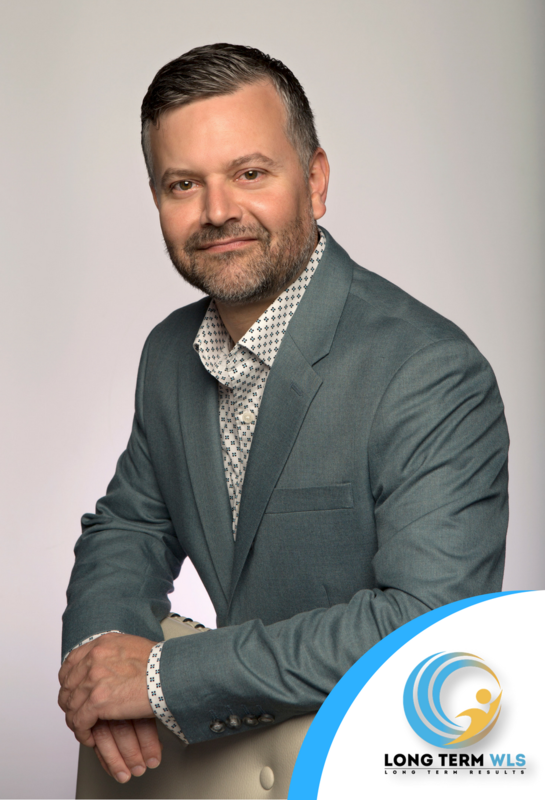 It is important to note that Dr. Jorge Maytorena is also a trauma surgeon; Dr. Maytorena worked for 3 years in the Mexican Red Cross, providing his medical services to emergency patients, obtaining quite experience solving critical situations and stabilizing patients. When a patient has decided to undergo revision surgery, it’s essential to start a research about the surgeon’s certifications, expertise, before and after results, patient testimonials and reviews. It will help to make a better decision in the future. To know more about other patients experience with Long Term WLS and Dr. Jorge Maytorena please visit our YouTube Channel and join our official support group.